Biometric authentication (i.e., verification of a given subject’s identity using biological characteristics) relying on gait characteristics obtained in a non-intrusive way can be very useful in the area of security, for smart surveillance and access control. 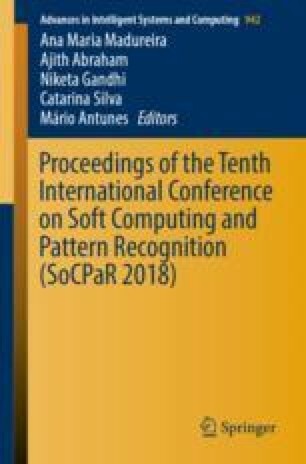 In this contribution, we investigated the possibility of carrying out subject identification based on a predictive model built using machine learning techniques, and features extracted from 3-D body joint data provided by a single low-cost RGB-D camera (Microsoft Kinect v2). We obtained a dataset including 400 gait cycles from 20 healthy subjects, and 25 anthropometric measures and gait parameters per gait cycle. Different machine learning algorithms were explored: k-nearest neighbors, decision tree, random forest, support vector machines, multilayer perceptron, and multilayer perceptron ensemble. The algorithm that led to the model with best trade-off between the considered evaluation metrics was the random forest: overall accuracy of 99%, class accuracy of 100 ± 0%, and F1 score of 99 ± 2%. These results show the potential of using a RGB-D camera for subject identification based on quantitative gait analysis. This work was supported by EU funds through Programa Operacional Factores de Competitividade (COMPETE), and by national funds through Fundação para a Ciência e a Tecnologia (FCT), in the context of scholarship SFRH/DB/110438/2015, and projects UID/CEC/00127/2013, Incentivo/EEI/UI0127/2014, FCOMP-01-0124-FEDER-028943, and FCOMP-01-0124-FEDER-029673. It was also partially funded by national funds through North Portugal Regional Operational Programme (NORTE 2020) in the context of projects NORTE-01-0145-FEDER-000016 and NORTE-01-0145-FEDER-000020. The authors wish to thank the subjects that participated in the study, and the LABIOMEP staff who assisted in the data acquisitions.